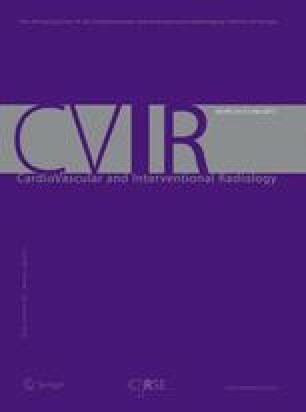 To evaluate the feasibility and safety of the Amplatzer vascular plug (AVP) for preoperative common hepatic embolization (CHA) before distal pancreatectomy with en bloc celiac axis resection (DP-CAR) to redistribute blood flow to the stomach and liver via the superior mesenteric artery (SMA). Four patients (3 males, 1 female; median age 69 years) with locally advanced pancreatic body cancer underwent preoperative CHA embolization with AVP. After embolization, SMA arteriography was performed to confirm the alteration of blood flow from the SMA to the proper hepatic artery. In three of four patients, technical successes were achieved with sufficient margin from the origin of gastroduodenal artery. In one patient, the margin was less than 5 mm, although surgery was successfully performed without any problem. Eventually, all patients underwent the DP-CAR without arterial reconstruction or liver ischemia. AVP application is feasible and safe as an embolic procedure for preoperative CHA embolization of DP-CAR.